All very lovely and laudable, but definitely a drain on genuine businesses that have to make a profit. That don't have the advantages of lovely views, spacious accommodation, cheap on-tap labour, and contract catering type economies of scale. Surely the "profit" is giving people a second chance to acquire skills and give back to the community? The prisoners working there have a massively reduced reoffending rate. How on earth is this a "drain"? If you're trully business-minded you should know that a free market economy is all about competition. Visited the Brittania cafe this morning. We were more than impressed with the cafe itself well decorated and very tidy. The staff were more than helpful and informative of the delay due to a large party. 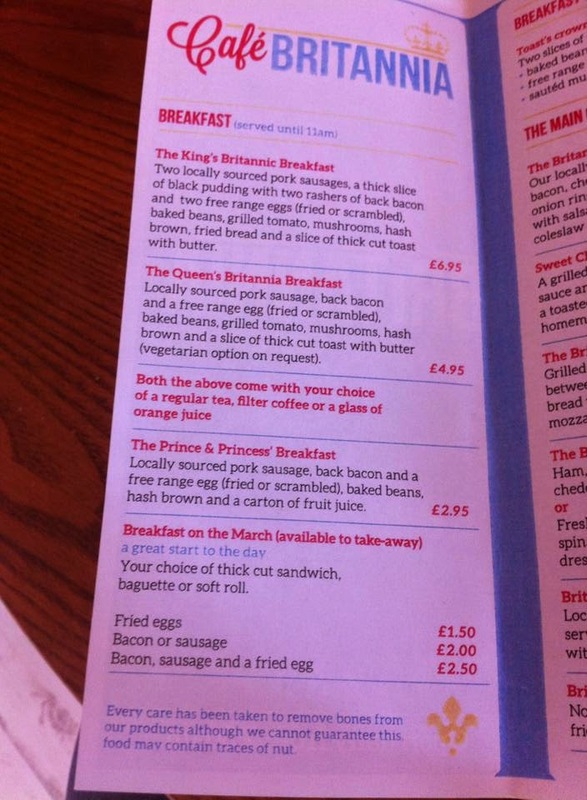 We were both impressed with the quality of the produce and size of the the breakfast, mine was the well named due to its size, kings breakfast and the other was the queens. The coffees were spot on. This will definately be a regular haunt for us! Thanks for the recommendation! Visited the Britannia last week and was really impressed with the quality and quantity of the food, plus the friendly service. Lovely brightly decorated room and we also sat outside afterwards and had our coffee. Am looking forward to a return visit for a breakfast and also the 2 course Sunday lunch. Long may it continue! We went to Britannia Cafe this morning and thought it was great.I had the £4.95 breakfast and I really enjoyed it. For 4 people in our party the bill came to £22. Really rated the food and the view. Went yesterday for breakfast ,with son,daughter in law & 2 grandchildren . Have been there on more than one occasion,breakfasts,morning coffee & scones,tea & cake. 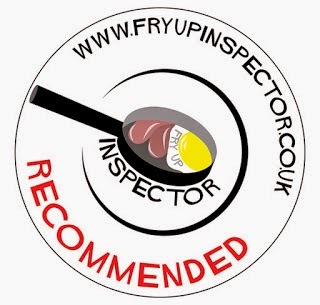 Absolutely excellent, plenty of space round tables which is good as it does get busy, polite service,clean tables, very good quality food,the perfect place and good value for money . Tips can be placed in the Victim Support Tin which is a brilliant idea. Excellent to give people a second chance to learn a new skill.Thank you, keep up the high standard,I will be returning again for sure. Excuse my necromancy but it should be possible to tip the people doing the work, prisoners or not. Most victim support groups are a scam and virtually no money reaches any victims. This is also true of the unjust victim surcharge now levied on all convictions at magistrate courts etc., the money goes to run the court system, not one penny reaches a victim. Remember prisoners are typically paid 20p/hour for their work if that, they should get the tips.